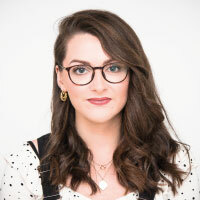 Most content on our own site and across the industry has a strong focus on influencer marketing from the brands’ perspective: why B2B brands should do influencer marketing or how B2B brands can implement a successful influencer campaign– to name a couple. What we have neglected to explicitly mention is that the byproduct of more brands doing influencer marketing is that more individuals are earning themselves a living from being an “influencer”. We’re not sure about you, but earning a living out of being an influential figure on a topic that you’re very knowledgeable and passionate about sounds like a pretty great deal. However, being an influencer isn’t just as simple as tweeting around a topic a few times, getting a few retweets and then waiting for the brands to come knocking at your door holding a healthy cheque. If becoming an influencer was “easy”, then it wouldn’t be such a desirable, lucrative career path. 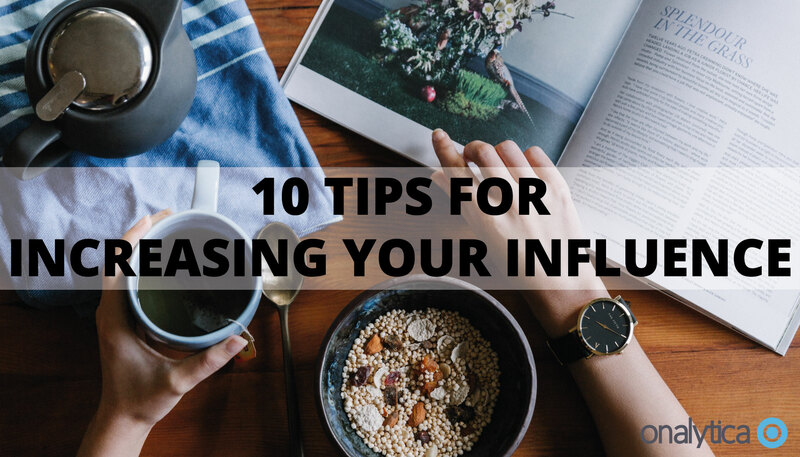 If you’re wanting to have your voice heard and ultimately increase your overall influence, then read on for our 10 easy-to-implement tips. Making yourself seen in the social media world doesn’t just entail being more ‘visible’ online as you might assume, but offline too. Just the same as a corporate brand, there is a certain degree of needing to humanise your personal brand, so that your audience can feel a connection with you. Influencers become influential because they’re not only knowledgeable, but they’re relatable and likeable. As the saying goes; people buy off of people, but ultimately, they buy off of genuine, likeable people. Offline, you can do this by attending industry events; online you can achieve this by regularly entering conversations around topics trending on social media. The underlying message here is that you’re not going to increase your influence in an area if you’re not integrating yourself and making yourself visible to the community. Becoming influential begins with people recognising and becoming familiar with your name. Content is an integral component of the influencer world and therefore something you must ensure you’re not only doing, but doing well. Much like writing an academic essay, content is an opportunity to demonstrate the breadth of your knowledge and really present yourself as an expert. Your audience are your essay markers and their perceptions of you based off of your content are extremely important in terms of you increasing your overall influence. Within your content it is important to link back to relevant pieces written by other influencers or brands. Sharing and interacting with other influencers’ content will help you gain exposure and social shares on your own content. On the note of other influencers, seek and accept opportunities to collaborate too; not only is this an opportunity to gain access to their community, but you will learn from them too. You must also ensure that you’re offering something different to the other influencers; the key is to intrigue but not alienate. You want a reader to reach the closing line of your post feeling as though they have gained something- increasing the likelihood of them sharing the piece with their followers. While I have highlighted the importance of content, do not fall into the trap of becoming a content creation machine; make sure you’re listening to the community and the content that comes with it. If you want the community to listen to you, then you must first listen to the community. Your followers will be far more willing to engage with your content if they believe that you’ll do the same- there is a certain degree of reciprocal gain within the influencer community. Listening also enables you to stay on top of what’s being spoken about in the community at any given time. This means that you will be acquiring new knowledge and information which you can then pass on to your audience. Much the same as an in person conversation where you’re 50% responsible for talking and 50% for listening, the same applies here. Being an influencer isn’t a case of entering every conversation around every popular topic at any given time; it’s about sharing information in an area you have an abundance of knowledge and passion around. Focus on one overarching topic and a few sub topics that come under its umbrella; for example: A B2B marketing expert with a focus on social media and content marketing. This will increase your legitimacy as an influencer offline too; when asked to be on a panel at events you will come across as a genuine expert in your field rather than someone who’s merely just blagging it. Ask yourself if all of the content you’re pushing out is useful enough; would it influence you? If the answer is no, then perhaps you need to narrow down your focus. Aspiring to be an influencer is all well and good, if you just seek to inspire and educate on a subject you’re knowledgeable on. However, if your reasons for wanting to be an influencer are predominantly financially motivated, then you may well be entering the field for the wrong reasons. The biggest and best influencers are those that grow their audience organically in an area that is in fact closely linked to their career. They’re legitimate experts with a wealth of knowledge as they’re actually doing what they’re educating on day in and day out. The fact that they’re happy to do this without instantaneously earning cash means that once they do, it is considered a bonus and never taken for granted. Having financial motivations may jeopardise the integrity of your decisions and force you to take shortcuts in order to receive that pay-cheque as soon as possible. On the same line of messaging as the above tip, you must be patient; genuine, authentic influence doesn’t happen over night. If you believe that you can become an influencer quickly then not only is this an unrealistic perception to have, but you’re perhaps setting yourself up for failure and disappointment before you’ve even begun. The same applies in terms of running the risk of jeopardising integrity; as cutting corners comes at a price. No matter what industry you’re in, things change every day. Therefore if want to be seen as an influential figure then not only do you need to be in the know, but you need to be ahead of the majority in acquiring the knowledge. You should embrace changes and take them in your stride, commenting on them as appropriate. You need to ask yourself if you’re continuing to provide your followers with knowledge and insights that they’re unable to acquire elsewhere. If not, then why would they favour you over another influencer? I touched on this slightly above; engagement is a two way street- you cannot just sit back and expect your follower numbers and engagement rates to creep up without putting the work in- you must engage back too. Followers are far more likely to engage with you if they believe that there is a high chance you will engage back. The more engagement you receive on your content, the more exposure you will gain. With increased exposure and influence comes more responsibility and with it, scrutiny. Not only are there more eyeballs on what you’re saying, but the critical beings amongst us will be waiting for you to step a foot out of line. While we are all human and occasionally allow our mouths to sometimes work a little faster than our brains can process, there is a need to really think before you post online; especially since we’ve entered a culture of “screen-shotting” anything and everything. Not only this, but it’s important that what you’re posting is the right kind of content. Will it resonate with the community? Is it in line with other influencers’ content? Is the messaging of my content consistent? Being an influencer doesn’t just entail staying on top of trends and being a part of the conversations, it’s about leading them too. People are far more likely to remember the name of someone that has a unique standpoint on things, or someone that has made them think. Start conversations and debates on social media, or publish content on topics that are rarely touched upon or perhaps even slightly on the controversial side. If you’re a brand looking to identify influencers, then why not try our influencer discovery tool for free for 7 days by clicking the button below.